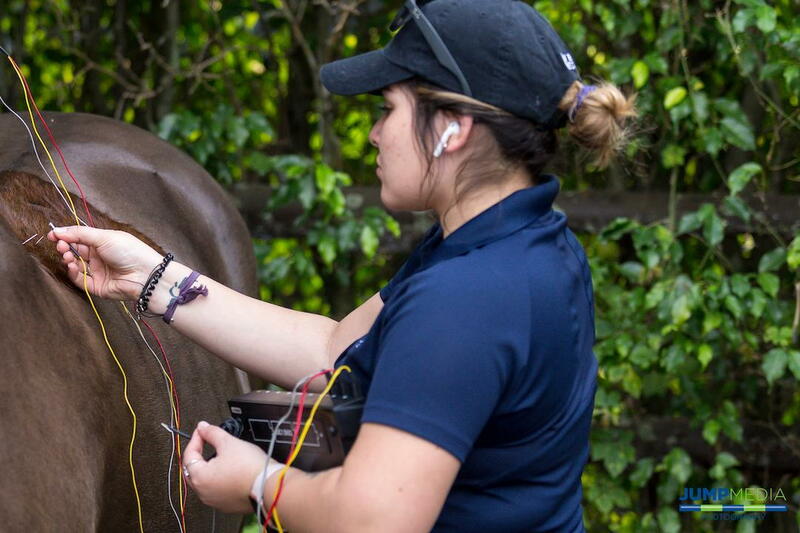 Palm Beach Equine Clinic (PBEC), based in Wellington, FL, is home to world-renowned surgeons, board-certified specialists, and state-of-the-art diagnostic technology. In addition, PBEC is home to 30 veterinary technicians who provide support to the veterinarians they work alongside. According to Dr. Marilyn Connor, veterinary technicians are the right hands of the doctors they work with. PBEC employs over 30 technicians and the hands-on experience they have access to gives them invaluable opportunities to learn. 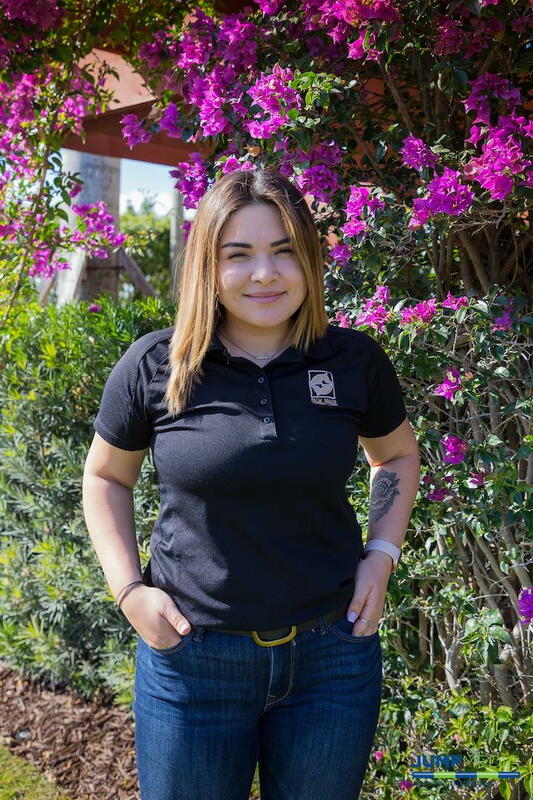 Yessica Arrua is one PBEC technician who has become an accomplice for veterinarian Dr. Natalia Novoa and the clinic in general. Arrua, 22, was born in Buenos Aires, Argentina, but now calls Florida home and is a pivotal part of the PBEC team. 1. How did you first get involved with horses? I have been around horses since I was three years old. Both my parents have been working with horses since before I can remember. My dad works with polo ponies and my mom with dressage horses. They both traveled to Florida to pursue work with horses here and that is how I came to be a resident of Wellington and a team member with Palm Beach Equine Clinic. 2. What are your day-to-day responsibilities at PBEC? I work with Dr. Natalia Novoa, who focuses on both traditional veterinary medicine and alternative therapies like chiropractic adjustments and acupuncture. My day-to-day responsibilities include making sure our truck is stocked with the equipment and medications that we may need. I also look after all the invoices in our system on a monthly basis. Overall, my role is to ensure Natalia has everything she needs and is prepared for our farm call visits. 3. What do you enjoy most about working with equine veterinarians and the horses they treat? Other than being around horses every day, which is the best part of my job, I really enjoy being able to experience all the different types of cases that come through Palm Beach Equine Clinic. Especially during the winter season, we see so many interesting cases from emergencies to routine exams. 4. Do you have a favorite case? My favorite cases to work on are the ones where horses have anhidrosis, which we see often in the Florida heat. What is Anhidrosis? According to the American Association of Equine Practitioners (AAEP), anhidrosis is a compromised ability to sweat in the face of exercise or high ambient temperatures. This is a potentially dangerous condition for horses, especially working horses, because they thermoregulate (maintain a consistent body temperature) primarily through sweating. There is no universal or proven treatment for anhidrosis, but people often try salts, electrolytes, thyroid supplements, and even beer. But, Dr. Novoa has been able to help these horses with acupuncture. We had one case where the horse didn’t respond to any traditional treatments, but started sweating right away during our first acupuncture treatment. 5. What can we find you doing when you aren’t working at PBEC? You will find me at the beach, reading, and spending time with my family!